I'm running 32-bit Ubuntu and I have downloaded and installed Master PDF editor from https://code-industry.net/free-pdf-editor/ via the .deb package. E: The package master-pdf-editor needs to be reinstalled, but I can't find an archive for it. what should I do te resolve this problem? and simply reinstall with dpkg for example. Not the answer you're looking for? Browse other questions tagged master-pdf-editor or ask your own question. 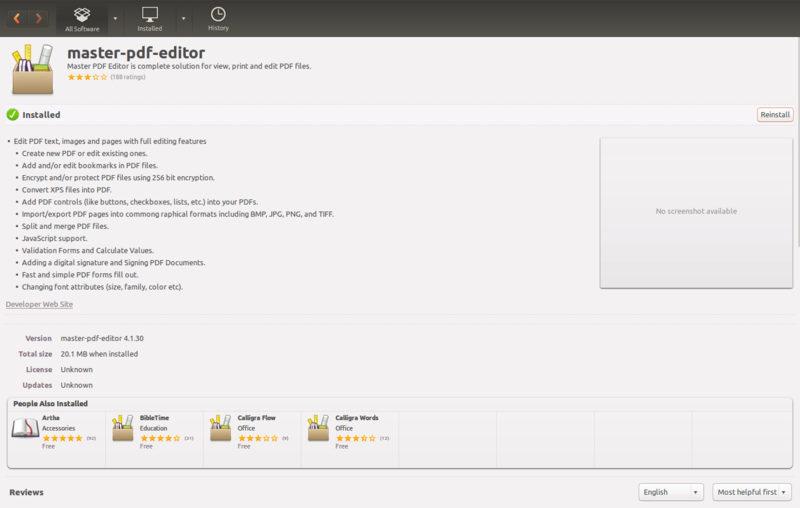 How do I uninstall Master PDF Editor 3?